One too common detail of our 6 children was that none of them seemed to mind voicing their unhappiness about anything. Complaining was as natural as breathing to them. I wanted more grateful kids. 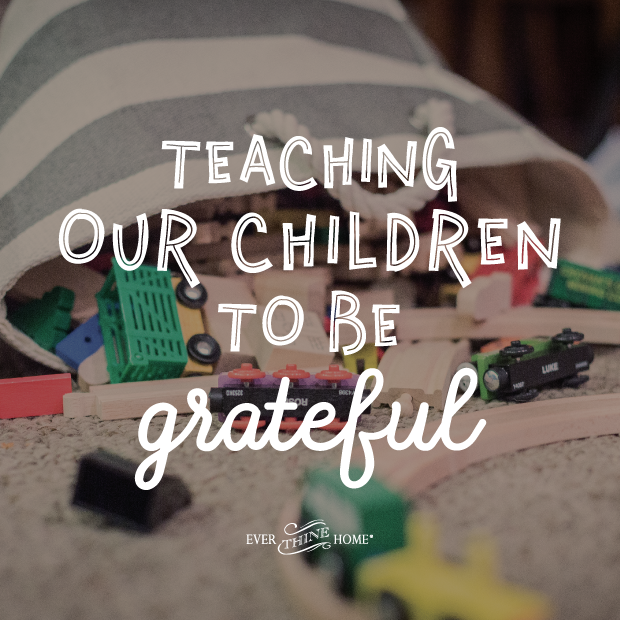 So, I took it as a personal challenge to develop in my children an attitude of gratitude. By repeatedly talking about this quality you can begin to reinforce the concept in their thinking, and the additional benefit will be the time you spend together as a family. Whether your family all piles on the couch together for these stories or one person reads as everyone else stands in the kitchen fixing school lunches or eating a quick breakfast, hearing great stories of faith together will be a bonding time for all. May your family discover the joy that comes when we choose to give thanks and acknowledge God’s loving involvement in the circumstances of our lives. Here’s a prayer that would be an easy start to begin each lesson. 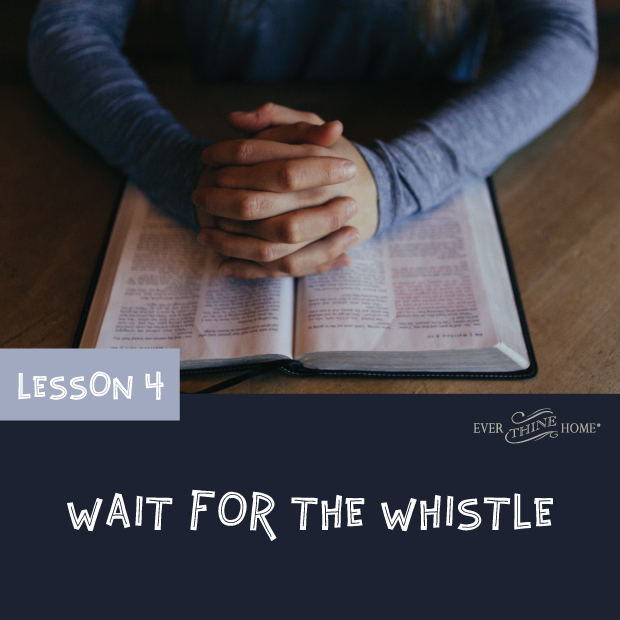 What if your teachers found out that you were a Christian and encouraged other students to make fun of you at lunch, not talk to you in class, and beat you up at recess? Welcome to Cornel Potra’s childhood. Cornel grew up in Romania during the Communist rule of the mid twentieth century. When his teachers found out that he was a Christian, they discouraged the other kids from being his friends and lowered his grades on schoolwork. They set up meetings to teach him about atheism and tried to keep him from going to church. Cornel was only fourteen. Instead of faltering, Cornel became more courageous. He decided to smuggle Bibles into his country. Every Sunday he walked for miles to share the life-changing words of the Scripture with a small group of people who met secretly to pray. Even though they took great care to hide their meeting place, including keeping the windows tightly covered, a suspicious neighbor called the police. Suddenly officers with machine guns flooded the room. They grabbed the Bibles and hymnbooks and wrote down each person’s name. The next day at school, Cornel’s teachers were meaner than ever. That’s when he decided to escape Romania.On his first try he was caught and beaten, and his parents had to pay a large fine. Cornel didn’t give up easily, though. He tried again in a few months but was caught a second time, and sentenced to one year of forced labor. After his release, in 1988, he made a new plan. He walked to the Romanian-Yugoslavian border. He knew the soldiers would ask to see his identification, something he did not have, so he prayed. Miraculously Cornel was not asked to show his ID! He walked quickly to a relative’s house in the village, disguised himself as a local worker, and continued his escape. Cornel mixed in with the village workmen, but noticed those in front of him showing their IDs as they passed by a watchtower. Knowing he had nothing to show, Cornel waited for a signal that meant the guards were changing shifts. He heard the whistle, said a quick prayer, and made a run for it. The guards realized someone had escaped, but God protected Cornel and he was not found. Eventually he arrived in a refugee camp in Austria. There he applied for asylum in the United States. How often do you give thanks for the freedom you enjoy? Every day? Rarely? Have you ever thought about it being taken away? Write a list of all the freedoms you enjoy and give thanks to God for each one. Feel it, Learn it, Keep it:Try this activity to help the message sink in with your family. Try to understand Cornel’s life as a teenager by helping your family learn what it feels like to not be able to come and go as they please. Do this by creatively limiting their freedoms for a whole day. Have each family member make his or her own ID card. The card should include their full name, age, height, and eye color. Instruct them that for the entire day they will need to present their ID card before they will be permitted to do certain things. (Decide in advance what they’ll need their ID for. Perhaps they will need to present it in order to take food from the cupboards or refrigerator, to eat meals, to leave the house, to come into the house, to use the car, and so on.) The idea is to make this fun while also teaching a lesson. I hope you’ve enjoyed this series and I pray your children are learning gratitude. If you missed Lesson 1, Lesson 2 , and Lesson 3, I’m linking them here. I invite you to subscribe to my blog in the box at the bottom right corner of this page so that you’ll get more encouragement like this right in your inbox as soon as it’s available! 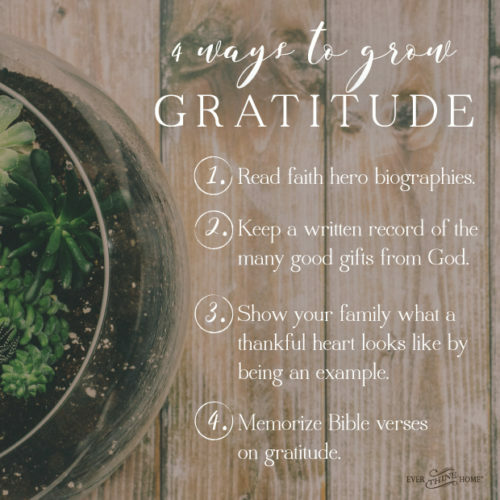 If you like this idea, check out my book Written and Remembered, 4 stories of classic heroes that invite your family to understand the power of gratitude (pictured below). We’re currently offering 40% off . Just enter the coupon code WRITTEN at checkout.